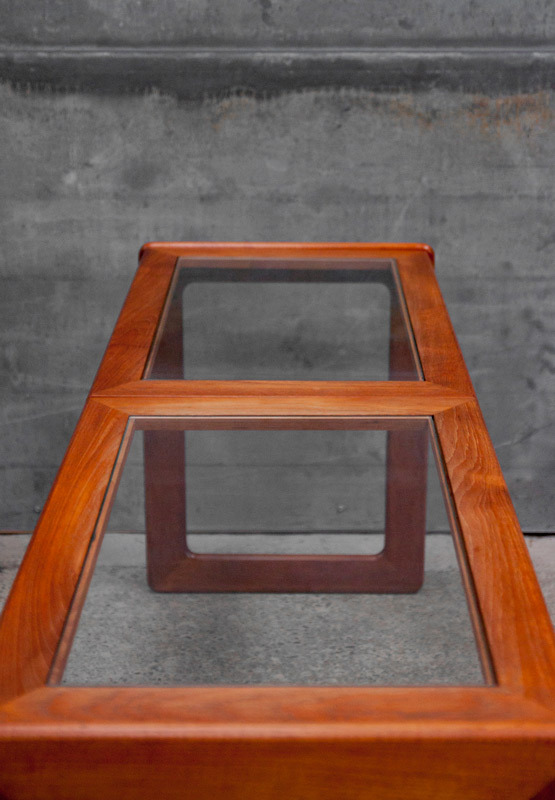 Teak frame with glass inserts. 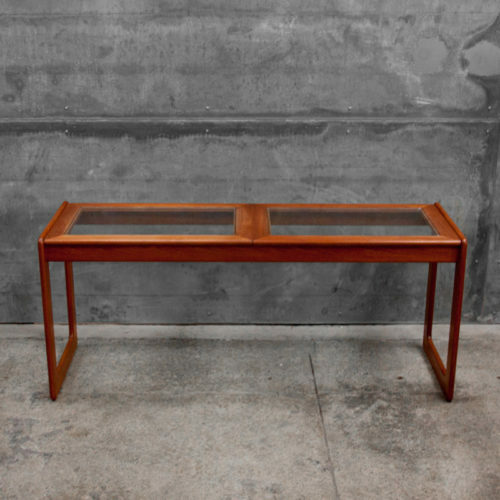 Console tables from this era are very hard to find. 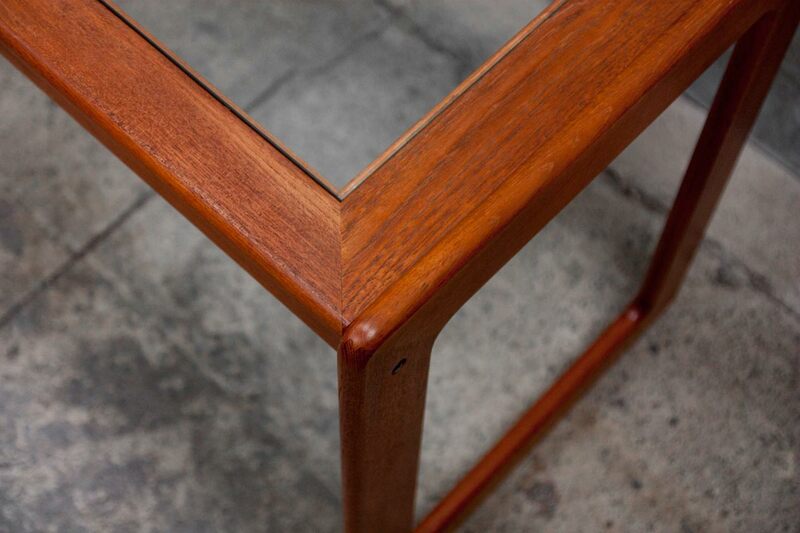 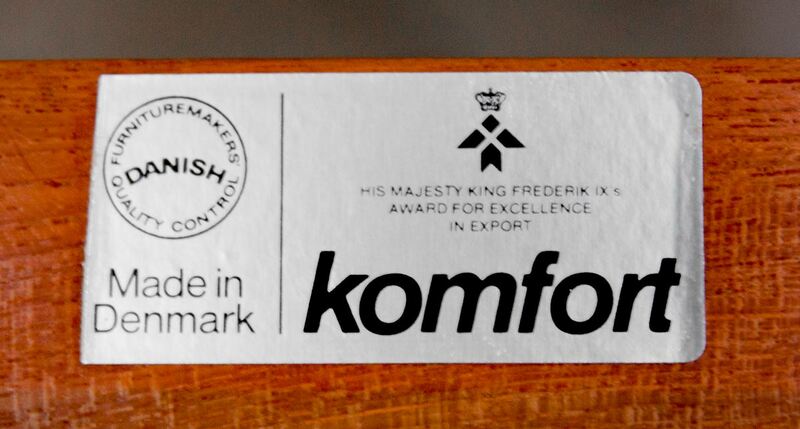 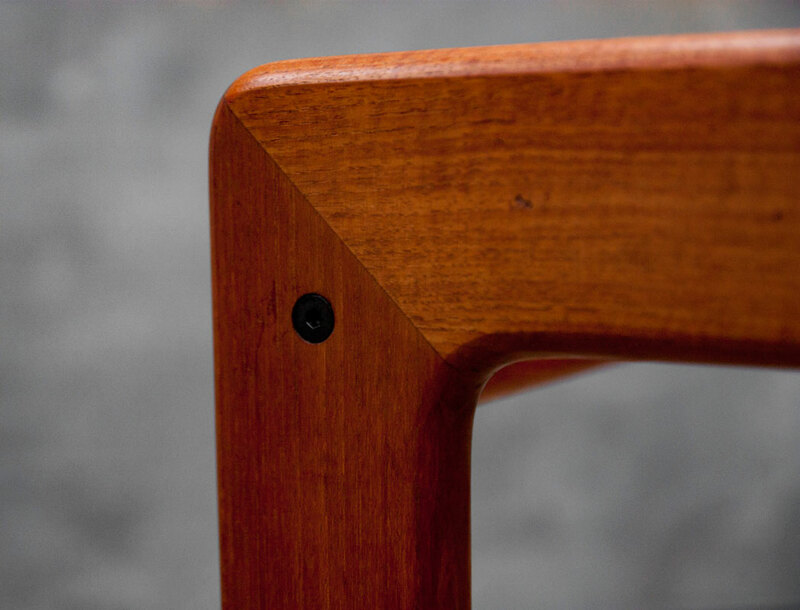 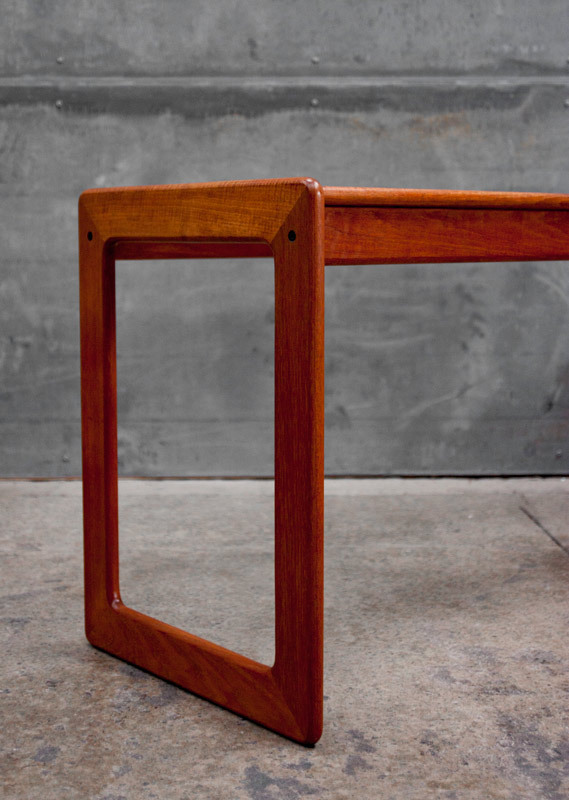 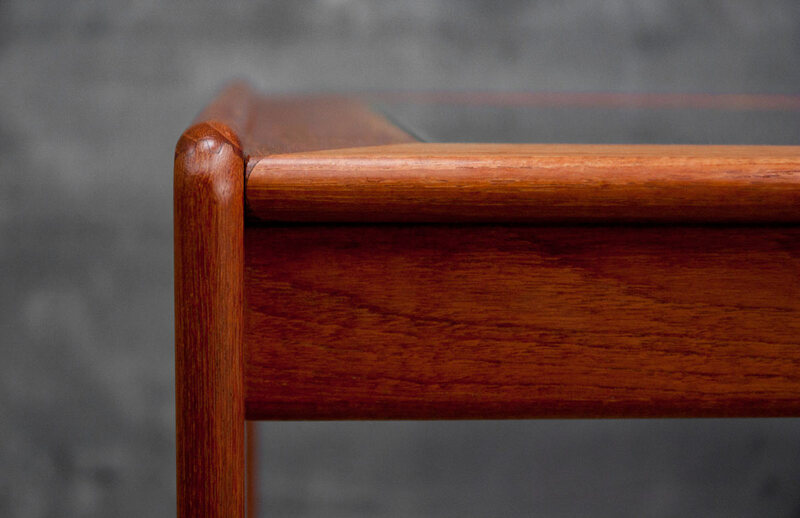 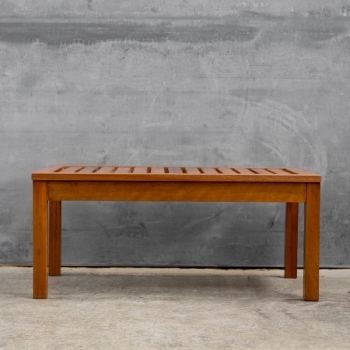 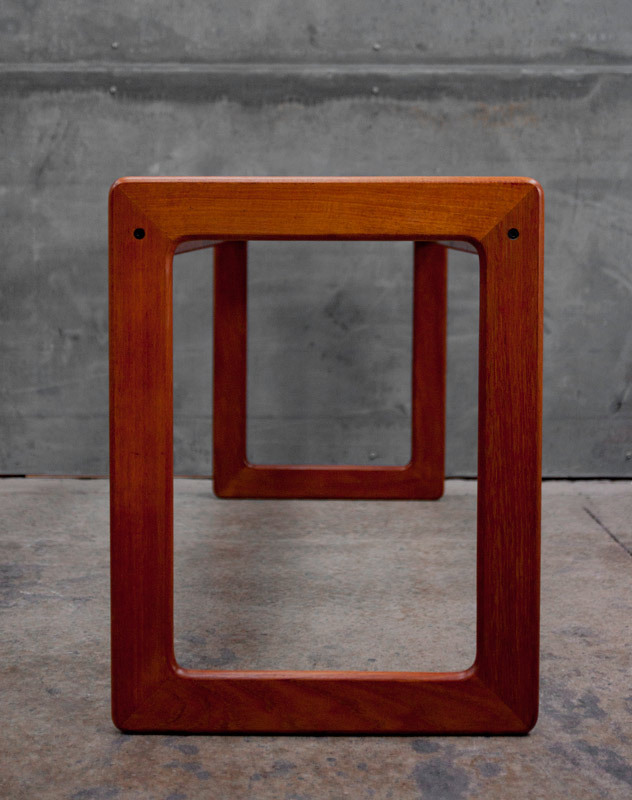 This solid teak piece by Komfort is typical of there high standard of workmanship.